Thank you for your interest in Index-d and the products we love. This is an opportunity for you to get a better sense of how we might be able to work together and what we have to offer a client like you. We are ready to engage with you and your project. Fill out this form and we'll get right back to you. FILL THIS OUT AND WE'LL GET RIGHT BACK TO YOU! If you’ve sent your request during our business hours (M-F, 9am-5pm), one of us will definitely get back to you as soon as possible. If you send it during the evening or on the weekend, we will contact you during the next business day. Below are links to basic information about some of our great solutions. Index-d is here to help you build better by offering a very focused selection of proven high-performance building hardware solutions along with comprehensive product documentation and support from our team of experts to help you efficiently integrate these solutions into your project. We're picky. We offer only the best solutions available. No ugly junk. Index-d was built to address projects of any size and complexity. BetterBuildingHardware.com where you can quickly identify one of our best-in-class products and have it shipped to you as soon as possible. And, if it's not clear what you might need, you can always give us a call to discuss your situation. Or, say you are an architect or contractor and have an entire project with 70ish doors and what you need is a partner who can provide informed guidance and analysis for specifying each opening completely and deliver the full package—spindle to track hardware to doorstop. Index-d can be that partner as well. Whether you're a millwork shop, a wine cellar consultant, a developer, or a glazing contractor, we have the flexibility, the expertise, and the tools to respond to your needs. We want to help. Besides, we love this hardware stuff. Identifying products that solve your immediate need is only the first step. We deliver. Actually getting the products we spec to you in a timely manner and keeping on top of the details and leadtimes shouldn't be an drain on your time. The close relationships we have with all of our manufacturers and sources allows us to keep you on track and informed about The Reality of the situation. We've seen it all, and through it all our manufacturers have worked directly with us to make sure we can fulfill your order correctly. That seems like a really low bar to us but you may have had experiences that make this seem like a revelation. Plus we pledge to be there with critical installation information when it counts most. Welcome to having your own dedicated team, ready to provide you with the information and support you need to design and build beautiful spaces. We're here to make your job easier. Let me know if you would like to receive print literature. Call if you need samples for a client meeting. Archive this email so you have these links handy. Forward it to anyone you think might find them useful. And, of course, Contact us directly with any questions. This is a brand new and comprehensive catalog of the entire TECTUS system of 3-D adjustable hinges including information on their ENERGY hinges, load and hinge placement guidelines, the complete finish chart (now offering new bronze finishes) and introducing a stunning all-stainless steel hinge, the brawny UL-Listed TE 626 3D A8. We were the ones to first introduce Tectus to North America. We've seen it all. Nothing in the ceiling, nothing in the floor. All the pivot and closer technology is mortised in the door. This system of three different pivots provides solutions for doors up to 1100 pounds. VERY wide and VERY tall doors are no problem. 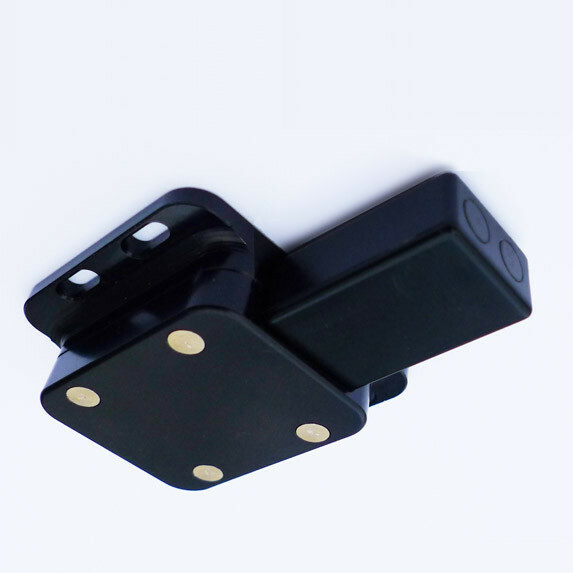 The new System M is the answer to in-floor closers and every hassle that comes with them. Get a quick overview HERE. FritsJurgens is simply the most sophisticated pivot hinge available. 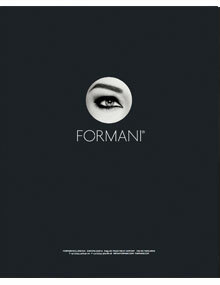 Formani offers a diverse collection of beautifully finished architectural hardware and accessories. They include collections designed by modern Dutch masters like Piet Boon, Bob Manders, Edward van Vliet, Bertram Beerbaum. The offerings are comprehensive both programmatically and stylistically. The catalog takes a while to download, but it's well worth the wait. If there is one relationship we value for providing consistent quality and wily innovation in a pinch, it's Accurate. They are the premiere manufacturer of mortise locks in the world and they happen to be right down Interstate 95 from us. Yes: Made in the USA. There is pretty much nothing they can not deliver in pretty much any finish. This download is a limited view of their offering but gives you an idea of their capabilities. H+B is known primarily for their comprehensive line of modern sliding door hardware, but this catalog also includes their extensive line of modern handrail brackets, their magnetic doorstops, and other unique architectural hardware solutions. Designed and made in New Zealand, H+B makes handsome and well-built solutions in a dozen architectural finishes. In the last couple of years, architects have begun specifying frameless openings into projects of all stripes. We have kicked the tires on a bunch of frameless systems and AGS is really the only one that makes sense for high-end residential projects. We've collected here information on their TUT and TUS profiles which offer an extremely stable detail for openings of almost any size. Ask about their skirting board solution, too. The ingenuity, performance, and finish quality of MWE's shower hinges and sliding enclosure systems is unmatched. When your run-of-the-mill CRL hinges would hurt the eyes, these clean designs with their hidden fasteners is what you spec to benefit a modern Master Bath. Ask us about their many premium PVD colors and finishes. This catalog also covers MWE's many elegant sshower enclosure systems. This is the most comprehensive modern sliding ladder system available anywhere. MWE offers models with rungs, with stainless steel or wood steps, telescoping ladders, ladders that turn the corner, hooked ladders for multiple rails, anything you need to get you high. MWE engineers and manufactures their ladders to the highest standards in Germany. That should say it all. Above a dreary market full of schlocky barn door hardware, Portland-based Krownlab soars for their clean-spirited iconic designs and their technical innovations. We especially appreciate the attention they pay to making their systems easy to install. All systems are backed by the only 10-year warranty in the business. Check out their new RORIK shower enclosure system. It's a minimalist's dream (and ADA compliant). If you lean toward a minimalist approach, you will likely be left sighing after flipping through this catalog of sliding and pivot glass door hardware. Every solution astec offering is engineered down to its essential diagrammatic conclusion. But this simplicity hides mighty German engineering that can move very large pieces of glass with the slightest touch. 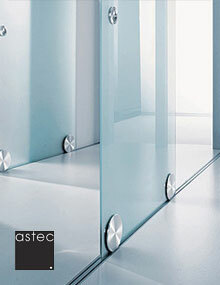 Sliding and pivot glass door options. There are worldwide fans of d line, and it may be fair to call them a cult. They have been engineering and manufacturing minimalist masterpieces in 316 Stainless Steel for over four decades. The finish on their hardware is as refined as their designs. They are known not only for their door hardware but also for their washroom and innovative accessibility bath programs. We offer the entire line of solutions from this Swiss manufacturer. We can help specify the right solution whether it's their refined Hawa Junior series or their über-us Concepta and Folding Concepta systems. The only solution of its kind. High-capacity, 3D adjustable hinges engineered for any overlay and inlay doors with virtually zero gaps. Dream BIG! Large, especially wide, glass and wood door can be precisely adjusted while fully loaded. No joke, it's the only heavy-duty magnetic touch latch one we've found that really works on full size doors. Made with titanium springs and available in black and clear anodized. It's the little things that can make or break a hard-earned design. Better Building Hardware helps get those punchlist items checked off in style. BY NO MEANS is the above a complete representation of what we have up our sleeves. We have lock and trim and hinge and accessory manufacturers that can deliver beautiful and tricky solutions in materials across the hardware spectrum. The best thing to do is to ENGAGE US.